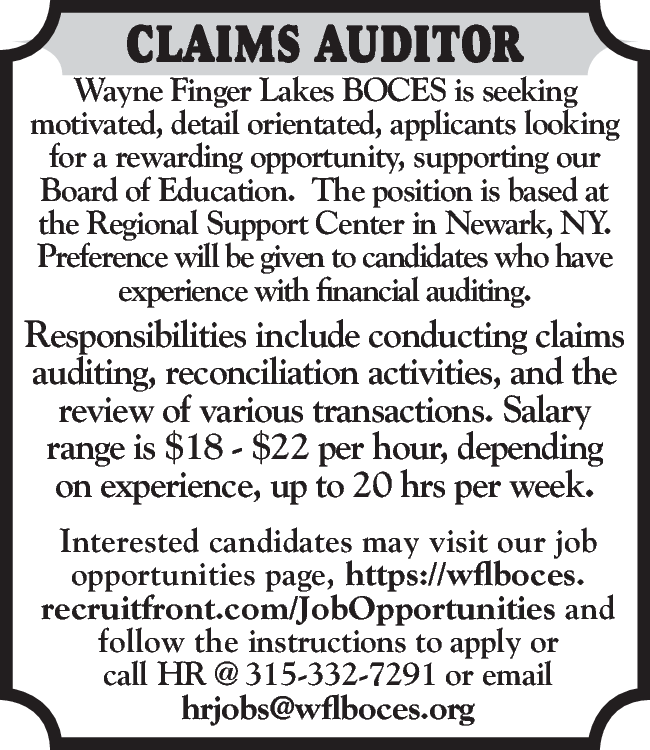 Wayne Finger Lakes BOCES is seeking motivated, detail orientated, applicants looking for a rewarding opportunity, supporting our Board of Education. The position is based at the Regional Support Center in Newark, NY. Preference will be given to candidates who have experience with financial auditing. Responsibilities include conducting claims auditing, reconciliation activities, and the review of various transactions. Salary range is $18 - $22 per hour, depending on experience, up to 20 hrs per week.